Reserve Bank of India (RBI) to launch new Rs 50 currency note to the public as soon. 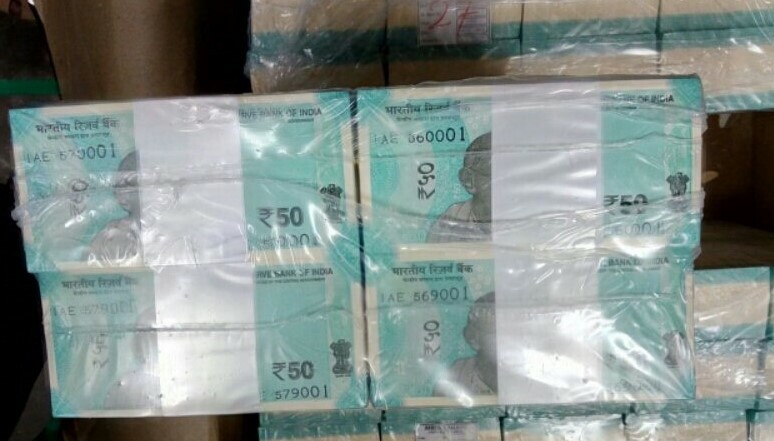 Bundle of new Rs 50 currency note images leaked on the social media. Also, some sources reads that the old currency will be still valid even after the launch of new 50 Rupee currency note. India chances more factors in the economics of the country by the demonetization which was happened at the end of 2016, November 8. Recently the central government implemented new tax format, Goods and Service Tax. Even it makes more changes to all the commercial sectors in India. Also, the people of India affected on these frequent updates of note ban and new taxes by the central government. There is no official update by RBI and the central government yet regarding the launch of new Rs 50 currency notes to the public. Check the Twitter by using the hashtag of RBI and get new updates instantly.